You only live your life once. Be in the moment. Being a strong believer in movement, Dionne began her first Ballet class at the age of six and continued with different dance genres such as hip-hop, contemporary dance, and salsa. She has performed and competed both locally and internationally in France, Greece and China. Dionne was then introduced to Pilates as a means to rehabilitate her lower back and ankle injuries from her intensive dancing days. 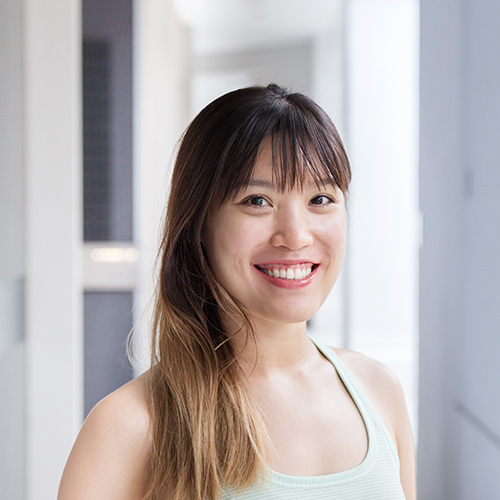 Taking a step further, Dionne pursued and obtained a Pilates certification with Polestar Education LLC in 2018. Subsequently, she got hooked to Xtend Barre at Upside Motion - an intense cardio workout that fuses her love for both dance & pilates. She now enjoys every moment at the barre and currently undergoes training to be certified Barre instructor in Xtend Barre method!